It is an oft-cited fact that John Schlesinger’s Midnight Cowboy was the only X-rated film ever to win the Academy Award for Best Picture but the film’s 1969 victory in that major Oscar category feels like a moment of far greater significance that this bitesize piece of pub-quiz trivia suggests. As the oppressive production code began to relinquish its grip on cinema’s artists, films were able to explore more complex, adult themes without having to be coy or overly-cautious. A glorious age of American cinema was gearing up but Hollywood seemed initially resistant, packing 1968’s Oscar list with musicals, period dramas and reverent literary adaptations. 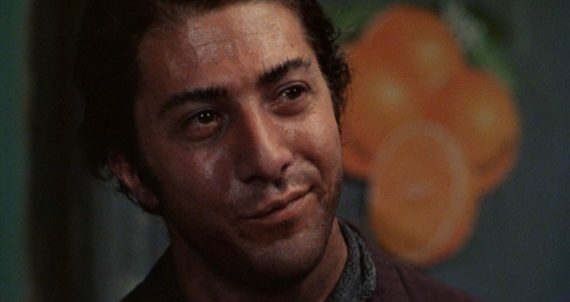 With its unconventional structure, unrestrained exploration of sexual themes and dedication to trenchant realism, Midnight Cowboy feels like a vital stepping-stone towards the more satisfying, challenging and enduring American cinema that dominated Hollywood for several wonderful years before spaceships and spectacle took things in a different direction. Midnight Cowboy follows the story of Joe Buck, a young Texan with a troubled past who heads to New York with dreams of becoming a male prostitute. Decked out in cowboy clothes he has chosen for himself, Joe envisages a glamorous lifestyle bedding attractive middle-aged women in fancy hotels but a couple of disastrous initial encounters quickly educate him in the realities of the city in which he has chosen to live and the profession he has picked out for himself. Destitute, Joe takes up with limping small-time conman Enrico Salvatore ‘Ratso’ Rizzo and moves into the squalid apartment in which he is squatting. 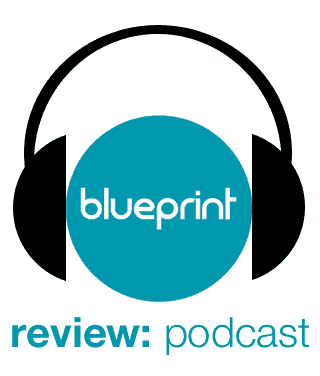 Forming a tentative bond, the pair attempt to improve Joe’s chances as a hustler but as business begins to improve, Ratso’s health also begins to deteriorate, forcing Joe to re-evaluate his priorities. 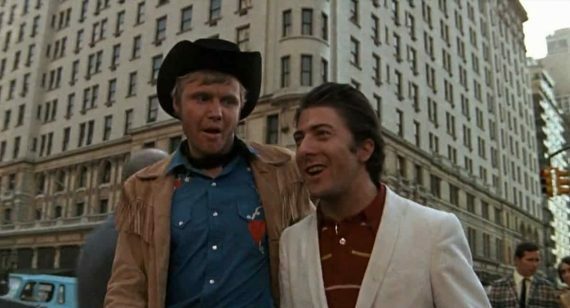 If Midnight Cowboy’s story of prostitution and numerous plot-strands involving homosexuality made it immediately controversial, its excellence in just about every respect also made it a critical and commercial hit. Director Schlesinger had made a name for himself helming several classic British films including Billy Liar and Far From the Madding Crowd but his transition into American films is seamless and he handles the shifting tone and challenging structure of Waldo Salt’s extraordinary screenplay with supreme confidence. Salt, a blacklisted writer in the process of putting his career back together after a string of flops, turns in one of American cinema’s finest scripts. Incorporating haunting flashbacks and lopsided fantasy sequences, the tone switches from comedic to desperate to devastating without missing a beat. Key in achieving this effect are the two central performances by Jon Voight as Joe and Dustin Hoffman as Ratso. As superb a pair of performances as you could hope for, Voight and Hoffman make Joe and Ratso both heartbreakingly convincing and vividly larger-than-life. 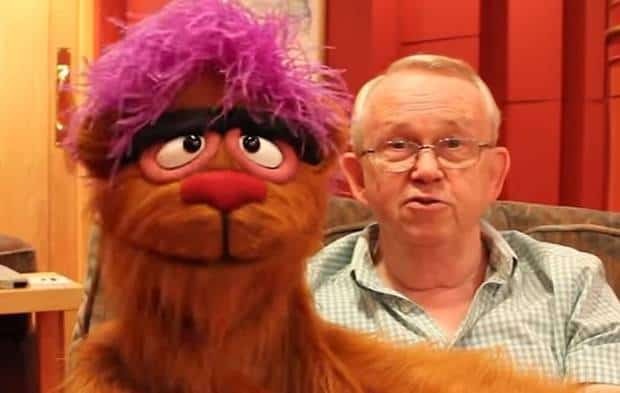 Between Joe’s goofy, beaming naivety and Ratso’s whiny, furtive world-weariness, this compelling odd-couple are almost like living cartoons in an environment that is all too real. They stick out like a couple of throbbing digits wherever they go and Salt and Schlesinger delight in throwing them into situations that only increase their conspicuousness. Ultimately, it is this shared lack of belonging that drives the pair together and their relationship works in much the same way as a central romance, even though no homosexual element is directly alluded to in this case. For much of its first half, Midnight Cowboy plays like a comedy as Joe encounters a self-proclaimed ‘gorgeous girl’ (Sylvia Miles in a fleeting but Oscar-nominated character sketch) who takes him up to her room only to end up asking for money from him instead of vice-versa. An initial meeting with Ratso leads to a humiliating encounter with a religious fanatic, while Ratso’s subsequent invitation for Joe to move in with him leads to a very funny scene in which he shows Joe round his miserable digs with a wavering sense of faux-pride which Hoffman plays to perfection. Even when things darken significantly in the second half (with the cumulative weight of the experience perhaps playing a part in this downturn in mood), the film still boasts an insistent sense of gallows humour, particularly in the scene in which Joe and Ratso end up at a Warhol-esque party which only exacerbates their uncomfortable prominence. These scenes are sometimes decried as too era-specific in a film that feels relatively timeless but Midnight Cowboy feels to me like a period piece which benefits from being situated in its proper context. The sexual politics it depicts are clearly of-their-time so era-specificity prevents the satirical edge from blunting. It also helps illustrate how Joe and Ratso are men who struggle to fit into their time as well as their place. They are characters who were born to stand out to their detriment, which makes Ratso’s dreams of moving to Miami even more tragically futile. Schlesinger’s greatest achievement in Midnight Cowboy is in making New York seem both intimidatingly massive and oppressively small. Keeping his camera tightly focused on the insalubrious streets, he captures the depressing claustrophobia that haunts the characters’ lives. Both Joe and Ratso dream big but the realities they encounter squish their dreams into compacted cubic nightmares, eradicating any hope of escape. Success is elusive for this pair and their close association, though born of a need for companionship, is likely to result in worse for both of them. The film’s famously bleak ending, so often parodied but not diminished one iota in its power, is recast as something potentially more hopeful when viewed in this light but Joe’s final decisive act in New York is likely to haunt him just as the flashes of his youth in Texas still do and his connection to Ratso may prove considerably harder to sever than expected. Despite its claustrophobia, Midnight Cowboy feels epically iconic from its opening moments onwards. Joe’s triumphant walk to his workplace to the strains of Nilsson’s gorgeous ‘Everybody’s Talkin’’ is a rousing opening and the song recurs throughout, forever linked to the images it accompanies. It’s an opening sequence that immediately instils a sense of history in the viewer and ensures them they are in safe directorial hands. I always knew I loved Midnight Cowboy but I didn’t realise quite how much until rewatching it on Criterion’s superb new Blu-ray release, which includes among its copious extras an hour-long documentary on Waldo Salt which was itself nominated for an Oscar. 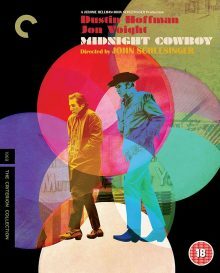 Midnight Cowboy is a film that deserves the very best presentation, that rare creation where everything comes together perfectly; the screenplay, direction, casting, performances, music, editing. It is a major achievement and a historic milestone in the development of twentieth century filmmaking.